Vo5 Gel Wax shapes like a wax and holds like a gel. For short to mid length neat cuts. Non greasy and non crunchy. For hold, definition and natural shine. Easy to work in and wash out. 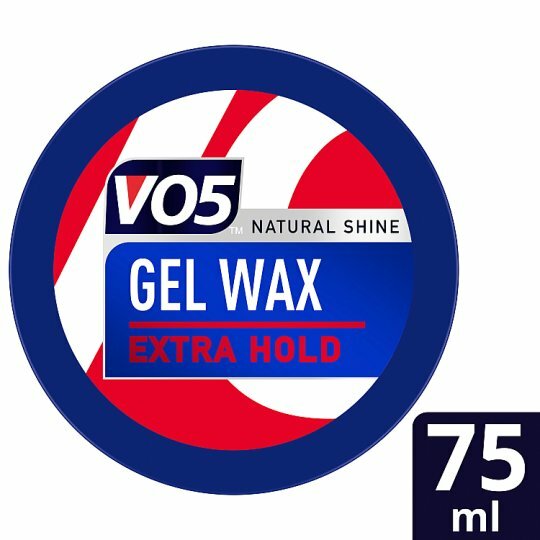 Vo5 Gel Wax is a versatile product and is ideal to create either daytime or evening styles. How To Use: Apply the product on damp or dry hair. Work a small amount of the gel wax between the fingertips or palms. Spread through hair. Style Tip: Use the gel wax sparingly, as a little of the product goes a long way. Add more if needed. If you liked Vo5 Gel Wax, be sure to check out the other Vo5 styling products in the full range to remix your style and experiment with your hair even further! Don’t forget to leave a product review and share your very best hair styling tips and tricks.